Carpal Tunnel has become catch-all term for all types of wrist pain , but in medical terms it is a specific condition. There are numerous reasons why you may have wrist and hand pain and determining the underlying cause is key to receiving the right care and relief. Lets explore several of the most common diagnosis, their causes and the best treatments. Carpal tunnel syndrome (CTS) is a specific medical condition that refers to pressure on the median nerve as it travels through the carpal tunnel at the wrist. The carpal tunnel is formed by the wrist bones, known as carpals, and a ligament that attaches across them. When the carpal bones move toward the wrist the tunnel is reduced and there is pressure on the median nerve. The main symptoms of pressure on the median nerve from CTS are pain, numbness, and tingling, in the thumb, index finger, and middle finger Symptoms typically start gradually and during the night. Pain may extend up the arm causing a weakness in grip strength. CTS can be diagnosed by fully flexion and holding your wrist and then tapping on the front of the wrist, an increase in symptoms is a good sign of CTS. 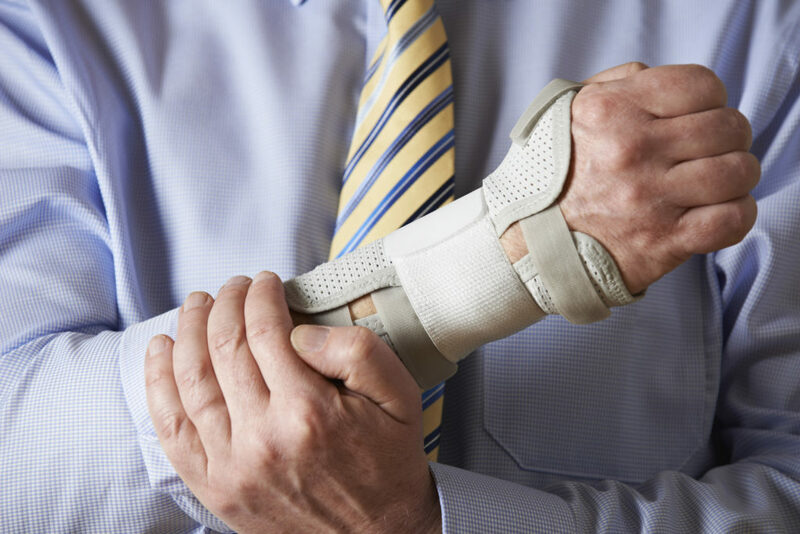 When the signs of carpal tunnel occur bilaterally it is usually caused by a pinched nerve in the neck and wrist, care must be addressed at both places to be successful. The best care for CTS is a multi-prong approach. Chiropractic manipulation of the carpal bones to restore the tunnel is a key, without restoring the carpal tunnel long term relief cannot be achieved. Laser therapy is excellent for reducing inflammation in the area, relieving pain and restoring nerve function. Musculoskeletal work to the forearm muscles and bones is important to restoring normal biomechanics. Bracing of the CTS rarely helps and often exaggerates the problem. If you do decide to brace the wrist make sure you adjust the brace to keep the wrist in a neutral position and not flexed. It is also important to modify lifestyle habits that causes the problem; repetitive motions, computer work, phone usage, driving position, etc. anything that put continued and vibratory stress on the writsts. De Quervain syndrome which causes pain by the thumb, wrist and forearm is often confused with CTS. De Quervain syndrome is tendonitis of the muscle that allow for thumb movement. It can be distinguished form CTS because it does not cause numbness, doesn’t involve any other fingers but the thumb and muscle testing the thumb triggers pain. The best care involves laser therapy to reduce the inflammation in the tendons, kinesiotaping to reduce the strain on the tendons and musculoskeletal work to the forearm muscles and bones is important to restoring normal biomechanics. Like CTS it is important modify lifestyle habits that causes the problem. There are several other conditions to consider when evaluating a patient for CTS. Hyper flexion or extension of wrist do to a fall or trauma, tennis elbow, ulnar or radial nerve entrapment at the elbow all must be ruled out before proper can begin. Patients with CTS symptoms that are bilateral must also have their neck examined to determine if the median nerve is pinched above the wrist. The good news with all of these conditions is that with the proper diagnosis and competent care that should resolve 100% in 6-8 weeks.